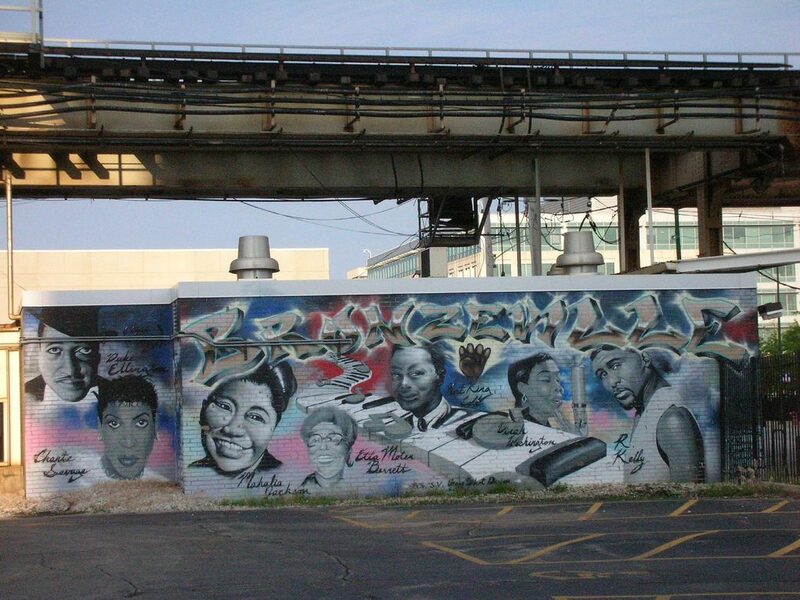 A South Side community with a rich cultural history, Bronzeville is emerging as a vibrant neighborhood today. It’s full of original homes, businesses and nightspots, being refurbished for this generation of residents. When you’re moving to Bronzeville, you’ll settle into a new high-value apartment in a historic brownstone, and as your go-to Brownstone movers, we’ll be sure to help you get there. It won’t be long before you’re ready to be part of Bronzeville’s history today. Just under 3000 people live in Bronzeville now, with a few more women than men. People tend to live together, including in many households with children. Median annual income is around $50,ooo, with education levels ranging across the board. In the early 20th century, Bronzeville was populated by a “Great Migration” of African American residents, who brought distinctive social, business, and artistic achievements. The community thrived for decades, becoming known for its culture and creativity. While it suffered from poor economic planning in the mid-20th century, the neighborhood is now re-emerging, especially as black leaders invest in the area to revive its heritage. Now you’ve got the gist, here are some highlights—and basics—we found to help you start your best Bronzeville life. Oakland Beach: Amenities and a mural. Harold Washington Cultural Center: Huge venue for live performances and community enrichment. Bronzeville Children’s Museum: Unique focus on black history. South Side Community Arts Center: Local exhibits and events. Gallery Guichard: Exhibits since 2005. Bronzeville Area Residents’ and Commerce Council: For community news and events. Pizza: Colossal Crab & Miller Pizza. Counter services. Soul Food: Chicago’s Home of Chicken and Waffles. Plus more. Delivers. Italian: Truth Italian. Southern Italian cuisine in warm, modern setting. Jamaican: Bronzeville Jerk Shack. Chicken, pork and sides. Senegalese: Yassa. Live music on weekends. BYOB. Brunch: Pearl’s Place. Soul food specialties and weekly buffet. Late Night: Southtown Subs. Carry out. Closes daily at 5am. Family: Turtle’s Bar and Grill. Low-key hangout with food specials. Game Watch: Good Times Sports Bar. Also available for private events. Dancing: Juke Joynt. Drink specials and events with local flair. Music: Renaissance Bronzeville. Live performances and events. Mariano’s: Local chain with prepared food. Some Like it Black Creative Arts Bar: Cultural events and health-conscious menu. Sip & Savor Chicago: Growing local chain. Ain’t She Sweet Cafe: Light meals and homemade desserts. ProFit: Workout sessions and advice. This has been a tiny sampling of the great things you’ll experience at your new Bronzeville home. As a seasoned Brozeville moving company, we’ve learned all about the staples and cool places in the area. We’re happy to share more! As you’re planning your big move, cross one major thing off your to-do list, and book Bronzeville movers who’ll a take load of stress off your mind. Call us at New City Moving, and we’ll help you move safely, smoothly, and on-schedule, so you can settle right in and start living your greatest Bronzeville life.